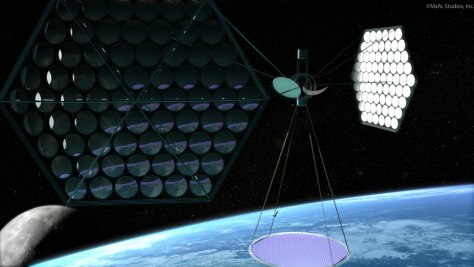 How would a space-based solar power system work? Proponents of the idea argue that the system would have all the benefits of terrestrial solar power - and that energy could be safely beamed back to Earth transmission stations 24 hours a day, seven days a week, rain or shine. Environmental and technical challenges still have to be met, however, including the challenge of building a network of energy-converting satellites in space. 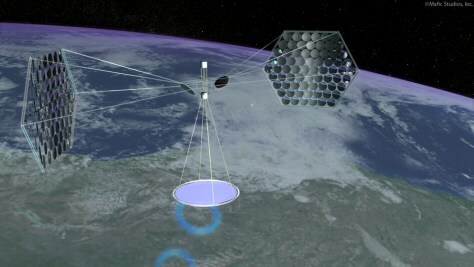 Click through this explainer to see how a space-based power transmission system might work. 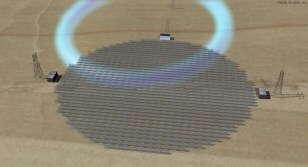 The biggest elements of a solar-power satellite would be giant mirror arrays, perhaps measuring several miles wide, which would focus sunlight onto photoelectric cells. 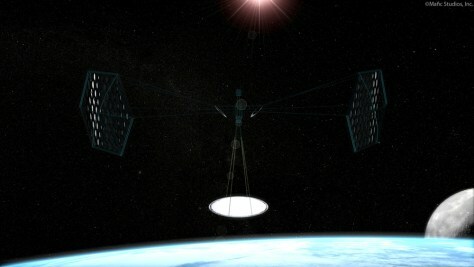 The geosynchronous orbit would be designed to catch solar rays even when the satellite is pointing at the night side of Earth. The photoelectric cells generate gigawatts of electricity. That electrical power is converted into a microwave beam that is directed downward toward Earth, at a frequency best-suited for transmission through the atmosphere. 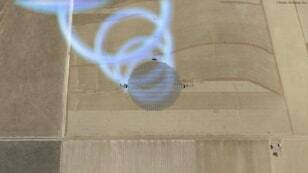 The microwave beam is targeted at a rectifying antenna array on Earth. Designers say the beam would have about one-sixth the intensity of noon sunlight. The Earth receiving station converts the microwave energy back into electricity. Electrical power flows into the power grid, just as if it were generated by a terrestrial source. 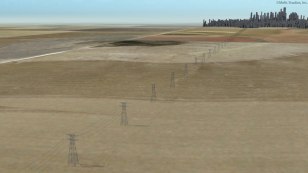 The typical system design calls for producing 1.2 to 4.8 gigawatts of electricity for local grids.